Risk Management Professional (RMP) is a trained professional equipped to carry out Risk Management projects, activities and help companies to minimize the impact of Risk. 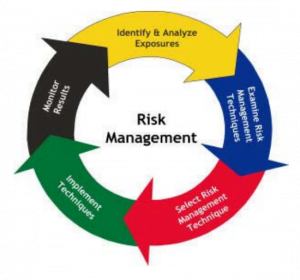 The PMI Risk Management Professional (PMI-RMP)® highlights your ability to identify and assess project risks, mitigate threats and capitalize on opportunities. 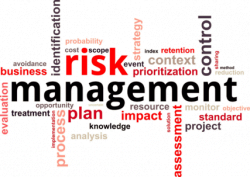 In this capacity, you enhance and protect the needs of your company and help them reduce risk and enhance opportunities. Gaining distinction as a PMI-RMP® sets you apart from other professionals and brings credit to your organization. The practice contributes to a handsome payoff: Companies following Risk Management Best Practices meet their goals 2.5 times more often and waste 13 times less money. This program is highly recommended for all new and experienced executives, directors and project managers with functional or project responsibilities, who are aspiring to get a RMP® Certification from PMI®. You can time yourself, and see the time spent on each knowledge area of the PMP® exam. This will guide you and help you identify any areas where you are weak, so that you can practice more, and ensure success in the RMP® exam in your FIRST attempt. Email to training@intellisoft.com.sg for any questions or submit an online enquiry. Register your interest for a RMP® Certification Training for the RMP® Exam to book a seat. Weekday Classes for RMP® Exam Preparation training program are held in Singapore each quarter. Call us at +65 6296 – 2995, SMS / WhatsApp: +65 9066 – 9991 to enquire or register for the RMP exam Preparation Workshop. If you have a group of 10 or more participants interested in getting the RMP® certification, contact us for a Corporate Training on Weekdays. We have conducted Corporate training’s in Singapore, India, Malaysia, Egypt, Vietnam, Indonesia to name a few countries. This training has helped me think like the PMI way, and how it is different from the practical Project Management experience. it will definetely help me get my PMP certification earlier. I plan to give the exam before June. PMP exam requires one to think and answer in the way required by PMI, and the PMP Exam preparation workshop helped me to get this gearing. Thanks to the trainers for their helpful tips and advice.